For pretty much my entire adult life, my purse has been something cheap and casual from Target. 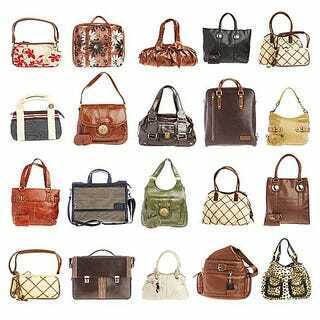 I'd pick up a new purse once every year or two, and it was usually canvas or printed plastic fabric. I didn't think too hard about the purchase because if it wasn't perfect, eh, I'd be back in another year or so. I now have a desire to have a "professional" purse, and not one where the seam will come out after a year or so (I'm rough on my stuff). I've never shopped anywhere more expensive than Target, though, so when I think of "quality purses" I think "Uh, Coach? Maybe? Or do they do sunglasses...?" Structured. I abhor slouchy purses. Big enough to fit a tablet. Not so big that I can fit might computer in there. Any ideas on who I should check out? I'm cool with dropping a chunk of change on a purse, especially with me changing to a job where I go into an office once a week (my hope is to exude "Woman Who is in Charge" and snag a lead position in the next year or so).